My book, my work and my life are based on all the gifts and life lessons provided by my Momma and Daddy back in Vicksburg, MS. Today we all celebrate, what would have been, our Momma’s 84th Birthday, 2/13/2015. 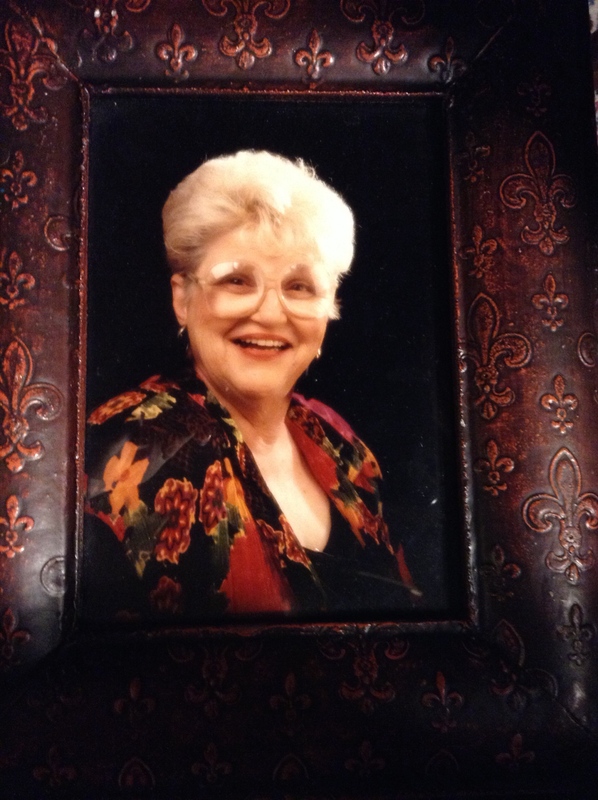 She left us on May 18, 2013 and we are all still processing our grief in a variety of ways. Because this grief process has been so fascinating to me and because so many of my colleagues, clients, friends and loved ones are dealing with aging parents and their, sometimes untimely, deaths, I’ve reflected on this concept of applying what I know about the value of process to my own grieving. When I say “untimely deaths” what I really mean is that sometimes our healthcare system keeps people alive who should just be left to die in peace. I believe my Momma and my Granny both lived just a couple of years too long. Their loss of dignity in those final years and the poor quality of their day to day lives was not worth those extra years, in my opinion. So many of my clients, a few in particular, think of process as bureaucratic and unproductive. While process can certainly slow down decision-making and results, I find that without a well thought-out, disciplined, focused process, the results will be disappointing or the decisions unsustainable. Worse, without process, we are unaware of the learnings and opportunities for us as individuals, as members of teams, as leaders and as family members. Given that it’s my Momma’s birthday today and two good friends lost their Dads in the last month, I thought it might be valuable to share my experience of using my beliefs around the value of process to move through my own grief. I certainly did not set out to bring a formal process to my grief. I didn’t believe I would even experience any grief. My Momma had been so sick and so high maintenance for all 5 of her children, all her birth and adopted grandchildren, her cousins and her friends we all imagined that the relief we felt would cancel out any grief. At least that’s what I imagined because I was trying to apply logical thinking. We had lost our Dad when he was only 55, in 1984. Because we were all so young and scattered across the globe, none of us processed that grief collectively, or as in my case, properly. To say that the week of her death was stressful for all of us is, as you might imagine, a significant understatement. None of us had any process or had the awareness that we should put some process or a Plan in place. 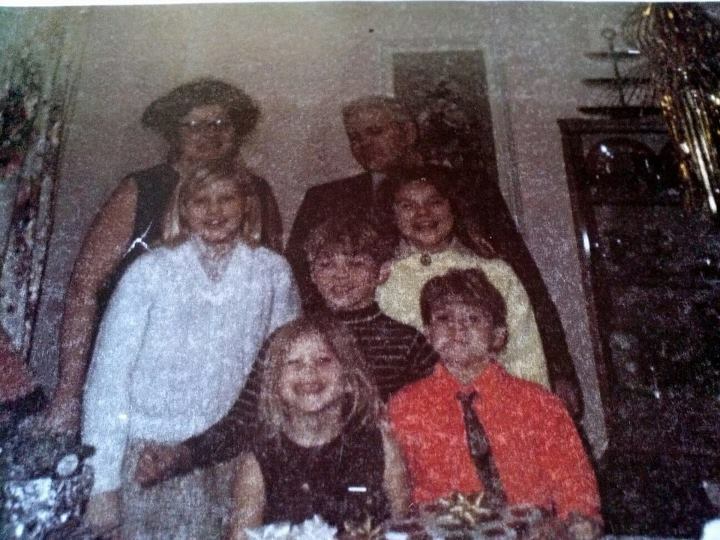 My 4 siblings and I did come together by conference call to determine the date of the Memorial Service. While my older sister wanted it within a few days, we finally settled on the following Saturday to allow for a reasonable travel period for those of us who lived away from our hometown, Vicksburg, MS.
That was pretty much the last productive process we utilized that week as we prepared her Memorial Service and her final “let down” party afterwards. My sister, Harley and her husband, Rick fed over 250 people while also housing so many of us that week. Some of my siblings were still reeling because Momma had donated her body to science and the technicians from the University of Mississippi Medical Center arrived so quickly after her death they felt incomplete. When I asked my siblings why they were so troubled when they had known for more than 40-years that she wanted to donate her body to science, they all had different responses. The best response came from my older sister, Harley. She said that, while she knew of Mother’s wishes, she never imagined she would get the required documentation submitted. Securing a stamp and an envelope were tasks my Momma did not engage in effectively. Harley was not aware than when I visited the month before Momma’s death we completed all required documentation and I got it in the mail when I got back to Phoenix. We didn’t use much process for all the preparations and I didn’t use any process when I tried to compile her financial records and start to remove the various assortment of durable medical equipment from her home. I did however, stay focused on my Vision that the 5 of us would be even closer when we got through this tremendous loss. That Vision gave me a purpose too. I tried to take even better care of myself in the weeks that followed her death because I saw how ineffective I had been without a process or a Plan. During August when my siblings attempted to clear out her home there was tremendous friction as everyone processed their grief in various ways. They did attempt to use some process, thanks to my two sisters. I would summarize the primary emotion of my siblings and some of my nieces that week as anger. No one brought their best self, initially, to these gut wrenching weeks. I, fortunately, was not there and was able to remain a bit more objective. I kept re-stating my Vision. I had said repeatedly that I was holding the vision that Momma’s 5 children would be even closer once we moved through the process of settling her Estate. Some of my siblings did not believe this was possible but I kept holding that vision, regardless of the stress and tension. A full 7 months after her passing. I was celebrating the settlement of her small, yet complex Estate on Uncle Willie Boy’s birthday week-end in late October 2013. All 5 of us, my nieces and nephews and many of their cousins from my two brothers-in-law, all gathered for that birthday party and then at Ole Miss since Katharine Halpin (Kay Kay) DeRosette was Miss Ole Miss for Homecoming. We all thought about Momma all week-end because she would have been so happy for Kay Kay to receive this recognition. However, almost all of us were delighting that she wasn’t with us. We’d spent too many week-ends with her at Ole Miss, MS State and Auburn where she required special accommodations and I don’t just mean a handicapped hotel room. I only started to apply some sense of a process and a plan on Day 13 of our standard 14-day “stay-cation” over the holiday season in December 2013 and January 2014. I believe it took this experience of real rejuvenation for me to become aware that there was a profound feeling of sadness and to have the time and space for that sadness and grief to emerge. Prior to this time, I was often at risk for ‘forcing outcomes’ in an effort to close her Estate instead of remembering my Vision and commitment. We take these two weeks off at the Holidays every year for a variety of reasons. Most importantly, I believe in the power of investing in myself. I know that I need unbooked, unscheduled, time at home. As a matter of fact, I crave this kind of time. I like to have, on a regular basis, even more time to experience my daily rituals of yoga, meditation and journaling and if I rely just on week-ends to get this extra time, I’m often left feeling a void. We used to do a lot of entertaining over the Holidays but realized after Momma’s death that the fatigue of her death meant we needed the full rejuvenation, not just periodic experiences during the 14-days. This was a major gift from my Momma’s death for which I am very grateful. That’s not to say that I haven’t felt awkward not spending time with the good friends we used to entertain. We just had to make a choice that honored ourselves and our own needs first and foremost. I also take this time off in an effort to be a role-model for my clients and to encourage them to take big chunks of time away from the office. My life and career have taught me the power of getting away from work. Now, with most of us attached to our devices during the workday and into the evening, I believe even more that we have this need for time away from work and even structured vacations, recreation and rigid self-care. One of my former coaches, Vickie Champion, always coached me to let go of the rigor of my Rigorous Program of Self-Care that I adopted during my Coach U training that started in mid-1995. My clients who have adopted this belief too find that their perspective is so much wider and more balanced when they return to the office. When I was a workaholic CPA, I could not see the forest for the trees. I believed everything was urgent and I was the most competent person to do everything. I can hardly believe how misguided I was! When I see people working late in to the evening, I shudder to think about the poor quality of their decisions and the lack of effectiveness in their productivity. I took Day 14 of our stay-cation as a retreat day for myself since the grief had come up on Day 13. I knew that the emotions flowed better when I was doing my yoga so I did it three or four times over that retreat day. I went back and forth between that and my journaling; much like i am doing today on my Momma’s birthday. By about 3 o’clock that afternoon I had developed a theme. I realized I needed a theme for the entire year, 2014, so as to honor my Momma every day and give myself permission and the needed space to experience the grief in a positive, healthy way. Stuffing and storing our emotions and feelings are never effective approaches. Especially if we want to bring our best self to life and work and create an environment where others are motivated to bring their best self too. My Momma and I shared a deep faith. For her, it was the Holy Spirit and she felt that Spirit and talked about that Spirit daily. She was a life-long Catholic and attended daily Mass on and off during her lifetime. Even in the last few years that she was able to drive she would get out of the house when it was still dark and drive herself and her scooter to early morning Mass. We also experienced, with my Dad, the Catholic Charismatic Prayer movement in the early 1970s along with some hippies and Nuns. That experience strengthened our faith in immeasurable ways and gave us both a place to better articulate and share our faith. In the late 1970s, thanks to my maternal grandmother, we both experienced a Cursillo, a movement within many denominations to deepen one’s experience with a faith community. That’s why I picked Faith first for my theme. My Momma and I had shared so many rich faith experiences together. I picked Freedom for my theme because my Momma lived her life freely. She was raised during the depression, her family had a history of alcoholism and like so many families in the South, never accumulated much cash. But she never felt encumbered with responsibility or obligation. She did what she enjoyed and she said what she thought. While some people, even one of our Parish Priests, inquired if we might have felt disadvantaged by our Momma’s bohemian approach to life in the 1960s and 1970s in the South, none of her children appeared to be permanently scarred by those experiences that were less than nurturing. For me that included being randomly forgotten at both kindergarten and elementary school. I also passed the Silent Butler ashtray and mixed cocktails at age 5 when our parents entertained. With freedom, came fun for us and our Momma. We had a nice balance between trauma and excitement. I knew while my Momma had felt a tremendous since of freedom, adventure and fun in her life, I had not. I started at a very early age to take responsibility for things that were not my responsibility. As a result, I knew Freedom was perfect for my theme. It’s the final frontier for me, I hope! I arrived at Fun because, like Freedom, my Momma had more experiences of fun than I had enjoyed. Don’t get me wrong. I’ve had a great life with lots of fun. For me though, my fun has to be scheduled, planned and on time and on budget. My mother cared nothing of those things and pretty much had fun all day every day; joking with her friends at the grocery store check-out, telling funny stories, singing with her children while driving her VW Bus around town and living her life on her on terms. All of this was under the disapproving eyes of our Dad and our Granny, Momma’s Momma. Granny was the epitome of a fine southern Lady and Momma rarely met her expectations of what an adult female, mother of 5, should look like or act like. Over the past year I’ve reflected, almost daily, on this Theme of Faith, Freedom and Fun. It’s become another mantra for me to remind myself of my Vision for my life, my vision for my connections with my siblings and for all that I want to accomplish. It’s has also served as my Purpose. It’s not my Why – why I do what I do in my firm, The Halpin Companies, but as a daily reminder of the Purpose of my daily habits and self-care. . Instead it serves as the basis for my Plan of Action for bringing my best self consistently. My plan is based on a program of Self-Care reduced to a few critical but easy Daily Habits. Because of these habits, this Vision, my Purpose and a plan, I’ve been able to work through my grief in a healthy, productive, empowering way that has made my life and career measurably better. 2014 produced a number of significant milestones for me and my siblings and we anticipate 2015 being even better. I feel my Momma’s presence every day, even the days when I don’t get dressed for work and put on my pearls that she gave me on my 45th Birthday. To feel her presence with me daily, to feel closer to her today than ever before, to feel her hand guiding me to be bolder and play bigger, to laugh out loud more often and to live life more fully, are blessings that I could never have imagined. I feel as if I’m living the life she always wanted for me. I wore the paisley bow-ties and suits women CPAs and Attorneys wore to work in the 1980s. The only problem with my wardrobe was that I wore those garments way into the 1990s…long after they were not fashionable any more. My Momma was always after me to ‘get with the program’ and wear color and comfortable clothes. Thanks to my Momma’s death, I saw the need to put a process around these past 21-months, I feel more joy, more peace of mind and more optimism than I ever imagined possible. One of my clients who is 59 but still has both his mother and grandmother living shared something important with me after my Momma’s death. He said that we never fully mature and grow up until we’ve lost both of our parents. I told him I imagined that my siblings and I would be affected in a profound way but I had no idea how profound and how beneficial this process would be for me. I certainly feel closer to all siblings over these past months too. What a joy to be able to spend more time with them in more relaxed ways than our Momma’s needs and health permitted. Our connections are more authentic yet more fun than ever before as adults.